Virginia Beach Premier Medical is a new kind of internal medicine office, focusing on re-incorporating the art of medicine with the science. Despite this "novelty" by today's standards, our roots are securely entwined with traditional internal medicine - not as society dictates it, but rather as it was meant to be practiced. The science of medicine practiced in this office is state-of-the-art. The doctors are fully knowledgeable about all the newest diagnostic and therapeutic tools used in the medical profession today. Patient records are maintained electronically, but securely, and digital versions of pertinent portions of the record will be offered to every patient. However, behind and beyond the technology is the recognition of each patient as a special person. Our greatest commitment is to provide exceptional service and assistance to each and every patient in our practice with the utmost diligence. The doctors in this office already have a great deal of experience in providing this type of personal and compassionate care. Indeed, the entire office is designed with this commitment in mind. Each patient will have direct access to his or her physician any time of day or night. Appointments are made the same day or the next day. Your doctor will follow you carefully and coordinate your care in the hospital as well as within the office. A primary focus of VB Premier Medical will be on the prevention of disease whenever possible, and careful control of illness, when it is not. Appointments are scheduled an hour apart instead of the usual fifteen minutes, so there is plenty of time to evaluate and discuss medical problems and answer any and all questions that are asked. By design, Virginia Beach Premier Medical will not be a high volume practice. We will not be charging for office visits and therefore will not require a copay for each visit. However, there will be a membership fee, or retainer, that will entitle you to the type of service that we provide as mentioned briefly above. This will afford us the ability to provide the style and art of medical care that Dr. Osler was able to provide, with personal attention, concern and availability for every patient under our care. Feel free to browse and explore this website. It will help you learn more about our office and staff and will show you all the services that a truly premier medical practice can offer. Information for patients, updates and commentary on breaking medical news and how it may effect concierge medicine. 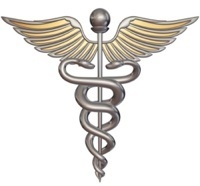 This page is an overview of VB Premier Medical policies and services. The concept of concierge medicine and how it compares with traditional medical offices. 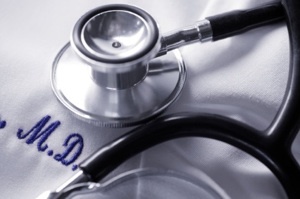 A description and definition of internal medicine and what an internal medicine doctor does. Our internal medicine physicians at VBPM are dedicated to providing the most diligent medical care and service available. Learn more about them on this page. Multiple medical services are offered at Virginia Beach Premier Medical designed to provide you with concierge-type access to medical care. Premier complete physicals are very thorough and offer many benefits related to protecting your future health. Premier wellness requires four elements for fulfillment. Read this page to see how to achieve this goal. Your medical records will be maintained securely within an electronic medical records system. Developing and maintaining your own personal health record is an important way to keep track of your health care. Good communication with your doctors and medical office is critical to receiving good medical care. What are the medical screening procedures recommended to help prevent disease most effectively. For generic medical information, this page contains multiple references and medical resources that may be helpful to you. If you would like to contact our office for more information of a nonmedical nature, feel free to use the form on this page to send a request. All the latest news and updates will be posted on this page. Here's where you can enter your own thoughts about this practice, this website, concierge medicine or health care in general. Keep up on the latest office news and health information with our email newsletter!